Super recomendado. Muy completo; aseado y seguro lugar. Doña "Guita" un encanto. Su hospitalidad y franqueza invitan a volver y fijo volveremos! Una casa con excelentes condiciones, con buena ubicación para estar en un área tranquila y a la vez cerca del movimiento. Una casa para ir con amigos o con familia. Una muy buena atención por parte del anfitrión!! William was an excellent host- The house we stayed in was beautiful and comfortable. Highly recommend. The house was as described, three good sized rooms - each with its own bath. The kitchen is well equipped. The home is a short walk to the beach. There were a couple of small hiccups but overall we enjoyed our stay. The pictures do not do Casa Wasabi justice. We had an amazing stay. William was so responsive to emails and requests. The location was fantastic-just a short walk to the beach. Playa Langosta is nice and quiet and then you have the hustle and bustle of Tamarindo minutes away. Glad you enjoyed your stay loved having you as guest. We had an amazing time at Casa Wasabi! We we're a group of 6 and there was plenty of room. Enjoyed grilling on the wood grill and hanging by the pool. Also super close walk to the beach. Highly recommend this house, it's amazing. William was friendly and accessible, and regularly went above and beyond the call of duty. The house was beautiful and the pool was the perfect temperature! All in all we couldn't have asked for a better Tamarindo host. We had a wonderful stay at Casa Wasabi! The casita was bright and spacious, bed was very comfy! The pool was fantastic and kept very clean. It was nice to be within a stones throw of the little market in Langosta, and to have Playa Langosta right around the corner. William was a very accommodating host. We would highly recommend Casa Wasabi and will certainly be returning next year! The photos represent William's place well and it is super close to Playa Langosta, about a three-minute walk to catch the sunset. With surf boards, boogie boards, and bikes to rent plus connections to local yoga instructors, guides, and volunteer opportunities, Casa Wasabi is geared to service all your needs in one place. The property's caretakers also are gems for those renting long-term. There was no hot water but on my last of 3 days I was able to shower next door. Other than a mini oven, there are no small appliances (coffee maker or blender). Pizza place and coffee shop right under bedroom window. Very noisy until 11 pm or so. William was a great host. The location is excellent and great value for the money. Scenic and quiet place that is clean and well maintained. Loved the pool and close access to the beach at Playa Langosta. I loved my stay with William! it was my first Airbnb experience and everything went well. the place was safe, clean and well placed. We rented a car and it was not a problem to find the place using the name as the address. The small bumpy road was doable with a toyota yaris and if you can't even make it up there, you won't be able to do much with your car in Costa Rica anyways. the beach was really close and i found was even nicer than Tamarindo beach. My girlfriend and I appreciated the safety measures (camera, locks, safe...) and felt very comfortable. I would recommend this place for families too, in less if you have small children that cant swim (there was no fence to the pool). If you decide to pass by Casa Wasabi, I hope you have as much fun as me! William welcomed us upon arrival and showed us the ropes of this 1 bedroom apt. Our stay exceeded expectations - it was a close 3 minute walk to a safe beach with local market, and just a 15 minute walk into Tamarindo. We also loved the option to cook our own meals in the kitchen. Tips - It's easy to miss from the road, so be sure to use gps and 4x4. We loved the estuary boat tour that Gita helped us arrange, local tours are a must. Great unit, especially for the price. Is essentially the pool house of a larger house, and you can hear it very clearly when people are out by the pool, but otherwise it was great. 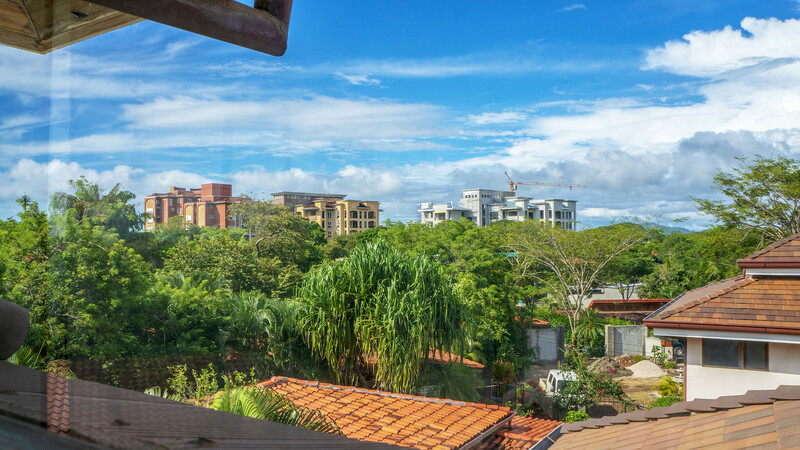 Over on the quieter Langosta, but still within a 15-minute walk of downtown Tamarindo, the location was great. William was a great host. We stayed 3 nights and truly enjoyed our experience there. He was friendly, welcoming, and the check in process was seamless. The apartment was bigger than expected, we got good use out of the kitchen for morning breakfasts, there is a mini super market a block down the street which was very convenient. The shower pressure was great (which is hard to find in CR). Best part about the place was our proximity to the beach and the garden/pool area right outside the front door. William was a fantastic host! Due to a snowstorm, our flight arrived later than planned, and he was easily able to accommodate us. The apartment was great both in terms of amenities as well as proximity to the beach. Would definitely return!